Last week I posed a question about Wordpress. I mentioned a project I was working on. I hated vague posting but I wasn't far enough along in the planning to make an announcement. Although if you asked, I told you in the comments. So here is the big announcement of what I have been working on. I am working on a podcast! Since I listened to Serial last year I have really gotten into podcasts. I subscribe to several like, Undisclosed, Truth and Justice, Crime Writers On. Then I branched out to criminal, This American Life, Generation Why, Organize 365, you get the idea. I'm on the road a lot and when I'm not I'm in an office by myself. The podcasts give me a voice in the room that isn't just my own. One day while driving it hit me that my most popular blog post is the one I did on the paranormal activities at my old university. I have lots more stories like that and so does my sister. I called her immediately and we started working out the details. I'm shooting for a launch date if April 4. Which is my daughters birthday. You'll hear more details closer to the date. 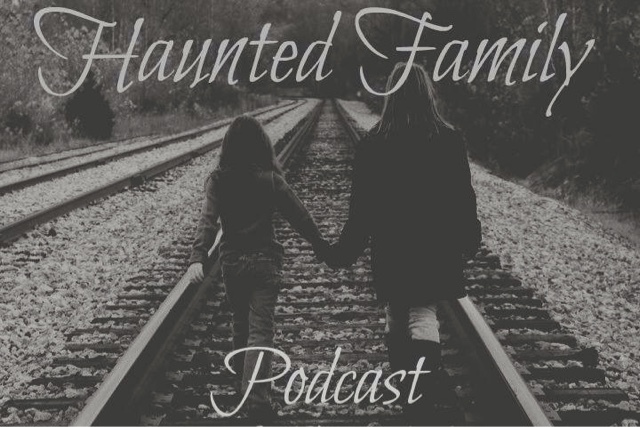 We are working on the website right now but you'll be able to view it at hauntedfamilypodcast.com. I am so proud of our theme music. It pays to have kids in the arts. I asked a friend of Abbey's if he could help us and what he came up with was awesome. We also hope to have a little shop and sale logo shirts, koozies, and other items. I am so excited about this project. Unlike the blog this one has had several upfront costs so I hope you all check it out and tell your friends. I'd hate to think we were just talking to ourselves.